Holiday: Why I adore France. – HubNut – celebrating the average! Holiday: Why I adore France. Having a father-in-law living in France is pretty handy. It enabled us to have a rare thing – a holiday! Our lifestyle doesn’t really have the budget for holidays, but living in beautiful Wales and having lots of spare time, it often feels like we don’t really need a holiday at all. As it happens, a rush of work for both my good lady wife and myself meant that a break was welcome! This was our first overseas trip in more than five years. In fact, it was our first overseas trip since before we entered into our new, more economical lifestyle. I hadn’t realised quite how much I’d missed France until we excitedly drove aboard the ferry at Portsmouth. It’s a fascinating country and, as you may have noticed, I have rather a soft spot for its automotive creations. As it happens, I made one major mistake. We arrived in Caen at half past nine. Of course, by the time we got off the ferry and through passport control, it was more like 10pm. It was therefore what is commonly known as night-time. An XM spotted on leaving the ferry terminal led to a small bout of joy which was instantly demolished by a combination of poor street lighting, dreadful XM headlamps (made worse by the necessary headlamp adapters) and a complete lack of cats eyes. Seriously, they are one of the best inventions of all-time, and you don’t take them for granted until there aren’t any. Then we got stuck in a car park. The French are very good at designing car parks with hidden exits. After we reached our destination, things improved a great deal. 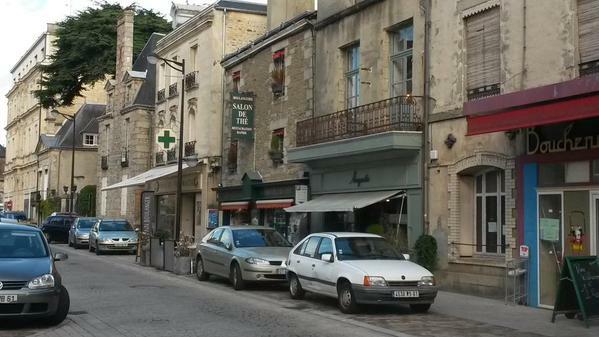 For a start, France is in a constant state of shabby chic. I adore the somewhat timeworn state of much of France. I generally avoid cities – much as I do in the UK. That said, a visit to Le Mans was well overdue, and after a gentle drive around the road section of the track, we really enjoyed a walk around the town. It’s absolutely lovely, especially the old section that overlooks the river. Recommended, even when there’s no racing on – or perhaps even more so when there isn’t. The town of Alençon is worth a visit too. 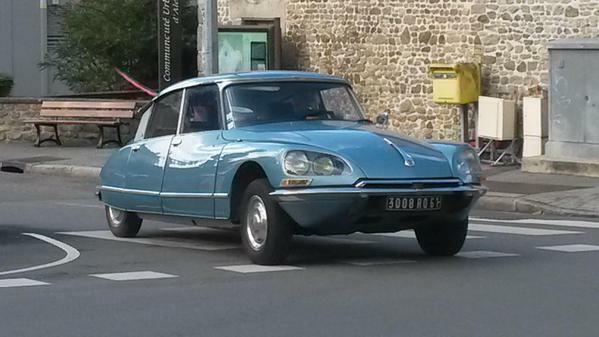 It’s where I managed to spot a Citroen DS 20 in use. 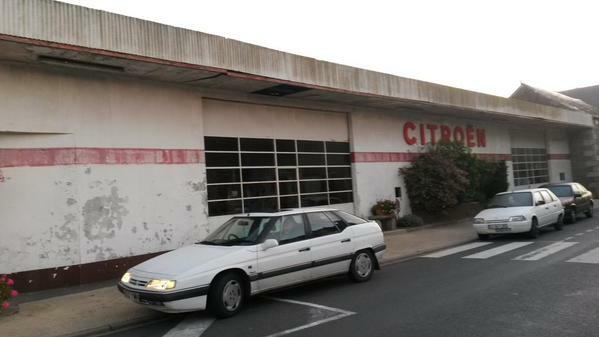 Older stuff really is getting harder to find in France, especially near bigger towns. I was well chuffed. Spot of the holiday? Perhaps. Certainly joyous. A wonderful street scene in Alençon. Very French. Oddly though, I really didn’t spend much time driving around. We stayed a mere hour away from Caen and I spent several days of our week not driving at all. That included getting a lift to Trun for an Onion Festival. I’d hoped for loads of classic commercial content. Sadly, H vans have all become trendy coffee vans in the UK and my only properly classic van spot was this delightful Renault Estafette – another ancient front-wheel drive design. 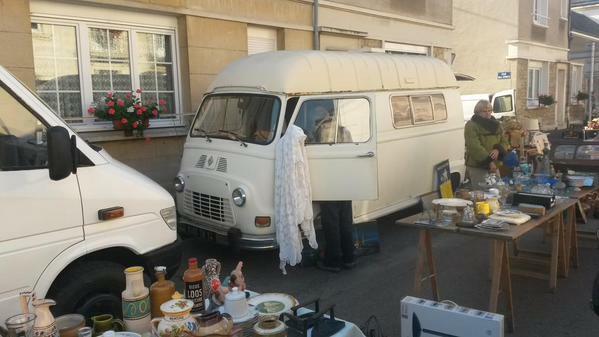 Renault Estafette at the Trun Onion Festival, Normandy. Our longest drive of the trip – French side at least – was the trip up to Dieppe to catch the ferry home. We shunned the autoroutes mostly, especially the Peage. We ensured we had plenty of time, so why pay to rush? Besides, European countries all look very similar if you stick to the motorways. Far better to head to the quiet, main roads instead. After all, you often get traffic levels like this. Barely any traffic in France. Not a car to be seen. So wonderful to just be able to make progress. Not that the roads were always this major – my Garmin Nuvi sat nav, visible in this picture, is ancient and has a wonderful tendency to seek out the most scenic, and often narrowest routes. We twisted our way through some amazing countryside and wonderful little towns. On the last run to Dieppe, we finally did make it onto a free section of autoroute, and I was able to get my clog down and enjoy 130km/h entirely legally. That’s an indicated 85mph in the XM, or around 80mph in reality. The XM was built entirely with this sort of driving in mind. It was absolutely wonderful. Four hours later, we disembarked in Newhaven and found ourselves battling incredibly high traffic levels once again. After the sheer glory of the quiet French roads, it was rather a shock. Oh well. The roads can be pretty quiet in our delightful slice of mid-Wales. It’ll be nice to be home. But once again, I fell in love with France. It’s no wonder so many Brits decide to move there. Wonderful architecture, friendly people and fantastic bread. 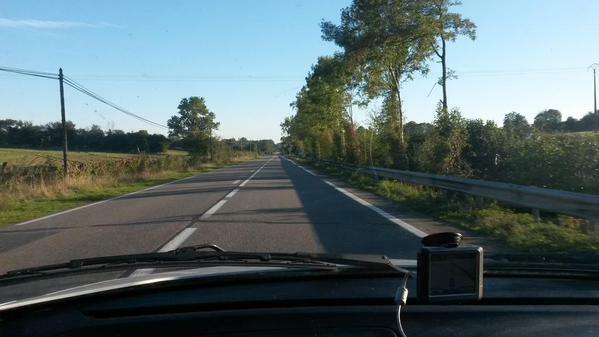 Oh, and superb cars of course, which enjoy (away from Paris and other major cities) fantastically peaceful roads. Thanks to those who made this trip possible.